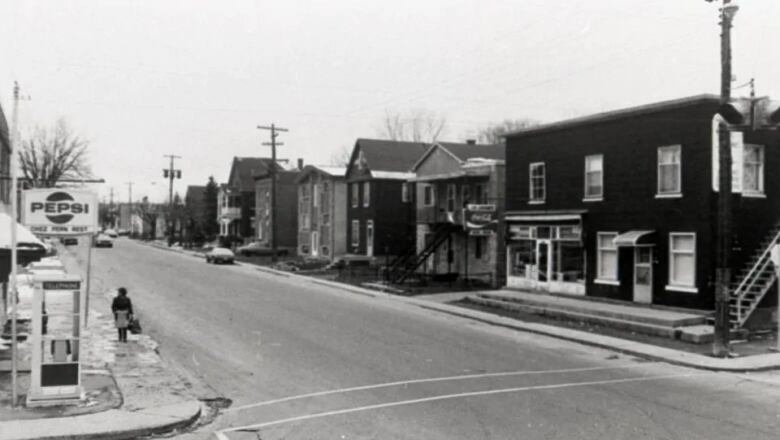 Dozens of people came together Saturday to remember the history of Gatineau's McConnell-Laramée neighbourhood, where hundreds of homes and businesses were expropriated in 1972 to build a major east-west thoroughfare. 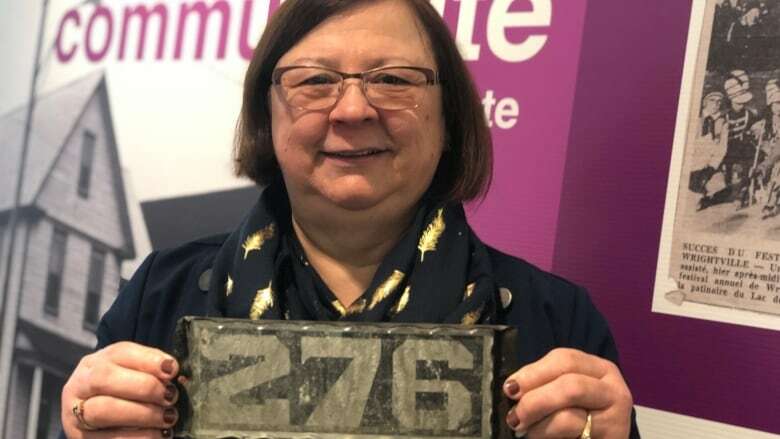 For Sylvie Bédard's mother, leaving her home in Gatineau's former McConnell-Laramée neighbourhood was "completely devastating." 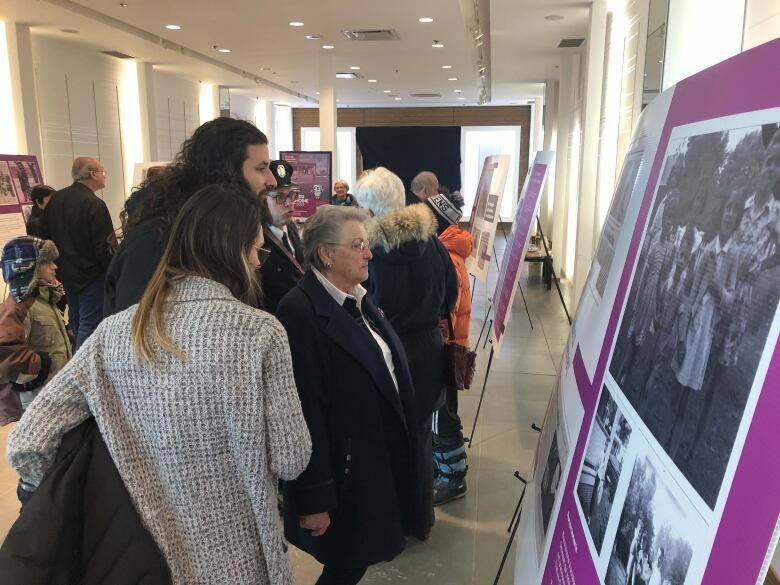 "She had been born and raised in that parish," said Bédard, one of dozens who gathered Saturday to remember the hundreds of homes and businesses expropriated there in the 1970s to build Boulevard des Allumettières. "She really couldn't figure out how to actually live anywhere else." Bédard's parents had lived in the McConnell-Laramée sector in Hull for decades. The family of six were forced to move — into a more expensive home — when Bédard was a teenager. 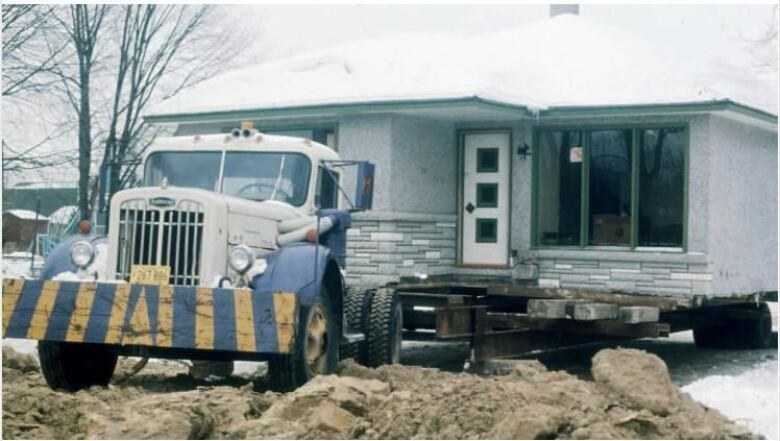 Her extended family was split up, as her grandparents' property was also expropriated for the multi-lane highway between Hull and Aylmer. In all, about 225 properties were torn down or relocated — but many more people were affected by the project, Bédard said, because a good number of those buildings were duplexes or triplexes. While the expropriation started in 1972, construction on Boulevard des Allumettières didn't start until 2003 and didn't finish until 2008. The time it took to open the busy east-west thoroughfare, Bédard said, was "probably the hardest thing to really live with." "To actually look around and see .... nothing came out of it was really very problematic from that standpoint," she said. 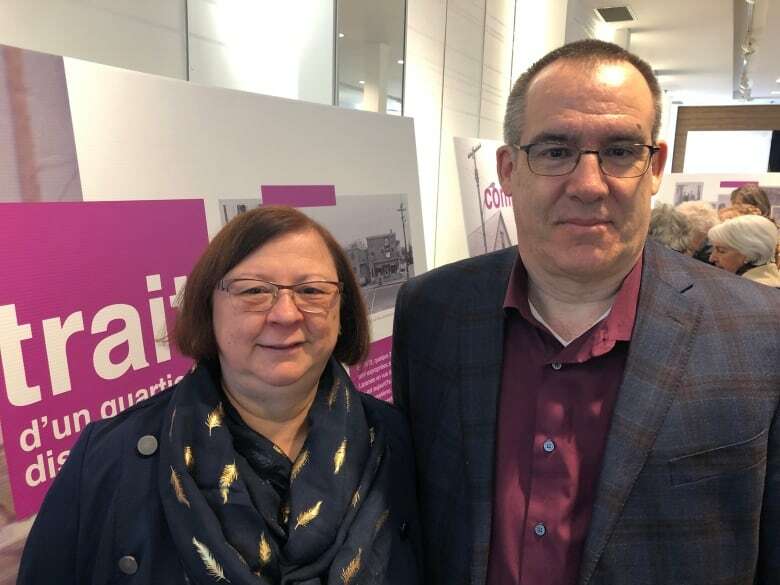 Still, Bédard was happy to reconnect with members of the former community Saturday at Les Galeries de Hull, along with more than 15 historical groups. Bédard's husband, Jean-Marc Renaud, worked at a grocery store his father owned that shut down after the expropriation. "That was his livelihood," Renaud said. "And then, all of that suddenly shut down." Renaud's father, who was in his late 40s, had to go back to school. While he ended up being successful, Renaud said the transition was long and anxiety-filled. He said he's happy the process of expropriation is more "human" now, compared to the 1970s. Michel Prévost, a local historian, said it was important to remember the history of the community. "For these people, it was horrible because it was a very nice sector. A lot of activities. A nice park. It was really alive in this area, and unfortunately with all the expropriation, all that was [gone],"said Prévost, president of la Société d'Histoire de l'Outaouais. "And even today, for these people, it was a horrible story." Saturday's event featured traditional dancing, music, and historical photos from the neighbourhood.